Another ALMOST makes me wish Superman never accepted Superboy. If Wonder Woman got to Superboy first and became Conner's mentor he'll become Wonderboy. 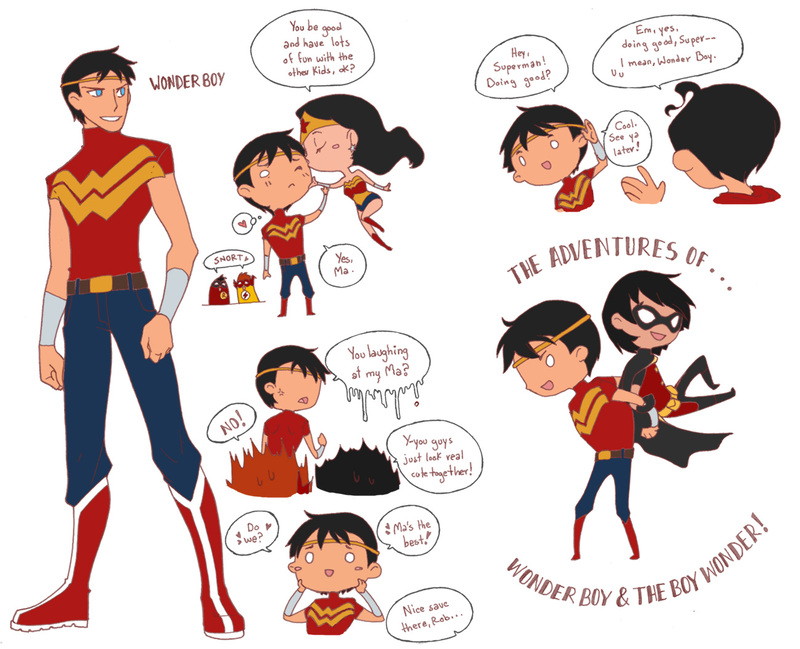 HD Wallpaper and background images in the Young Justice club tagged: young justice superboy wonderboy wonder woman robin kid flash superman. ((OOC)) Now I def want Wonder Boy!!!! !